I am a nerd, but not so much of a nerd that I like to shout it out to the whole world. You might call me a closet nerd. 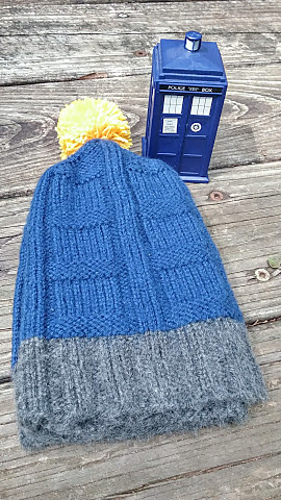 This hat is patterned to look like the paneled sides of the TARDIS – especially when knit in Police Box Blue. It speaks to other nerds, but leaves most others in ignorance. 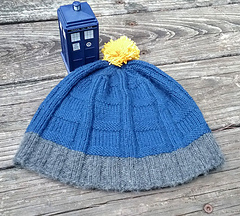 It is easy to knit – using only knit, purl, and directional decreases. 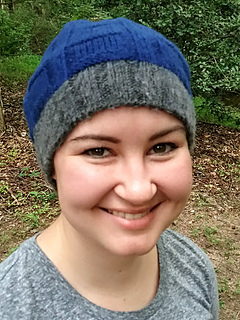 The Call Box Hat is available in only one size (21”/ 53cm unstretched), but it is very stretchy and should fit most adult and teen heads. 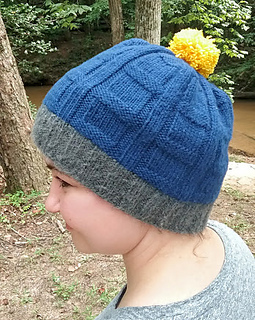 The contrasting brim is a great way to use some worsted weight leftovers, but you will need a little more than a full skein of yarn for the main color.